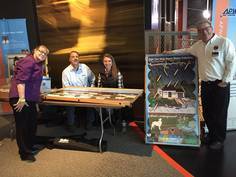 2019 Civil Engineering Day - Big Success! A big thank you to the Minnesota Chapter for its sponsorship for the 2nd Annual Civil Engineering Day. The attendance that day was 5,209. That is indeed a VERY BUSY day at the Science Museum of Minnesota - one of the busiest of the year!